AfterSchool Activities is very excited to WELCOME all GWA students and parents. The ASA program is all about the students, their interests, their needs, their talents, and the enthusiasm that the students bring to it. The ASA Coordinator is always available to the students as well as the parents. Please feel free to drop by the office or contact via email at after-school@gwa.ac.ma if you have any questions or concerns. Lower School activities are geared towards their interests and needs. We focus on learning opportunities, and homework club, but also activities that they will have fun with. These activities change quarter to quarter, but can include things such as arts and crafts, game club, sports, drama, and many other exciting things! Upper School activities are geared towards their interests and needs. We focus on learning opportunities such as, homework club, tutoring, and others, but we also include activities that they will enjoy! These activities change quarter to quarter, but can include things such as, sports, drama, choir, debate, chess, and others. Unique to upper school is the opportunity for students to be involved in working for after school activities. They can tutor other students, they can help with homework club, and others for community service hours. Check-Out All of the ASA @ GWA! Lauren Baker our new art teacher in Upper School is offering an ASA Art Class for students in Grades 4 & 5. A basic art class that will focus on the elements and principles of art. Every week, students will learn about one of the elements of art and do a project incorporating that element. We will also be learning about several different art materials and how to use them. We include vocabulary words, English skills, and movement activities in each lesson, as well as reflection time in which students will learn how to talk about art while showing respect towards their classmates' differing opinions. Children learn life skills by practicing basic math skills such as counting, weighing, measuring, tracking time; they also gain social skills by working together and communicating in the kitchen. Dash and Dot are robots that can sense, act and think! Students use block coding on four different iPad apps to control their robots. The durable and child-friendly robots are a safe and easy way to encourage STEAM learning. FIRST (For Inspiration and Recognition of Science and Technology) was founded in 1989 to inspire young people's interest and participation in science and technology. FIRST designs accessible, innovative programs that motivate young people to pursue education and career opportunities in science, technology, engineering, and math, while building self-confidence, knowledge, and life skills. Tomorrow’s innovators practice imaginative thinking and teamwork. Guided by two or more adult Coaches, FIRST LEGO League teams (up to 10 members, ages 10-16) research a real-world problem such as food safety, recycling, energy, etc., and are challenged to develop a solution. They also must design, build, program a robot using LEGO MINDSTORMS®, then compete on a table-top playing field. It’s never too early to discover STEM! FIRST LEGO League Jr. is designed to introduce STEM concepts to kids ages 6 to 10 while exciting them through a brand they know and love − LEGO®. 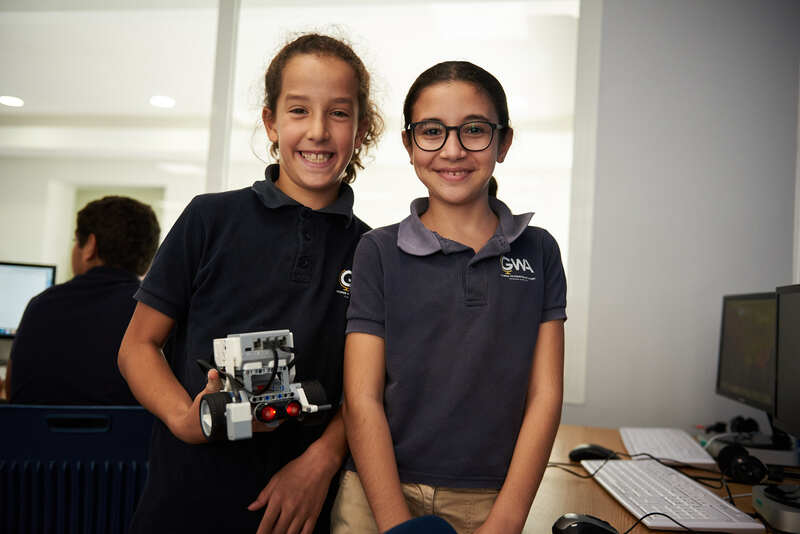 Turning “look at me” into “look at US!” Junior FLL offers students an amazing experience as they celebrate their hard work, have fun, make new friendships, and are exposed to ideas and ideology that will enhance their lives for decades to come. Kids realize more than ever that FIRST is all about teamwork, sharing, helping others, and respect. Guided by adult coaches and FIRST® Core Values, students build models using LEGO®Education WeDo 2.0 and create Show Me posters to present what they learned. The program focuses on building interest in science, technology, engineering, and math (STEM) through a real-world challenge – to be solved by research, critical thinking, and imagination. Is it fun to be on a FIRST LEGO League Jr. Team? Students will transport to a place where they make the rules, learn to thrive in a new environment, and explore all that is around them. George Washington Academy 2017-2018 FIRST LEGO League Jr. Skills for Life! Designed to develop children's physical skills of agility, balance, co-ordination and climbing.The program is structured to develop children's positive personality traits including confidence and self-esteem. Each weekly session combines fun, excitement and challenge in a safe and caring environment. Child psychologists and educators agree that a structured program in movement should be a part of every child's education. A Positive Progression! Our age-appropriate activities for kids are designed to facilitate maximum fun and ongoing skill development through movement, exercise, music, learning and laughter. Your child progresses at their own pace, having fun and building confidence as they make new friends and develop new skills. Most gymnasts with aspirations to join the Performance Gymnastics Team get their start here. Performance Gymnastics is the place to be! Our staff has decades of gymnastics experience as coaches, judges, and competitive gymnasts. We are dedicated to helping each student achieve his or her potential, have a successful experience, and have fun. Gymnasts in this program have prior training and have successfully meet all requirements laid out by the head coach. A minimum of 3 hours training required per week. Kids Yoga class is FUN! Children learn by using their bodies through play. This will not look like a regular adult class with the children being told exactly what to do. Instead, the children will interact in different games and activities that help them learn poses, build strength and confidence, and learn how to be a positive part of a community. They will also learn how to practice stillness in meditation and breath work in an age-appropriate way. There is no competition or judgment in the games or poses. Kids yoga is not about perfection, but to help each child have a better awareness of themselves and others, and to express themselves in positive ways. Each class will have a theme that the postures, games, and meditations relate to. Let’s have a fun adventure together! We spark imaginative learning after school! Mad Science has created a vast library of unique after-school programs. Our spectacular demonstrations, hands-on activities, and real-world discussions make learning about science fun for kids! Our interactive, one-hour after-school science programs are themed around particular areas of science and include such topics as rocketry, magnets, polymers, and even the science of toys. Creative, hands-on activities that help students explore the world through science, art and more; encourage tinkering, curiosity and creative thinking. Students gravitate toward sensory experiences (paper marbling), figuring out how things work (taking toys apart), and testing the limits of materials (making a bridge out of Popsicle sticks). They don't see the lines between disciplines; rather, they notice interesting materials and ideas that are worth exploring. Students learn about science and the basics of the scientific method through practical, hands-on experiences. Students begin finding out for themselves answers to questions about science: how to make a sturdy bridge, how DNA works, and how paper airplanes fly, among others engaging projects that value process over product. For instance, make a watch that you can play rock-paper-scissors against just by shaking your hand! ASA is excited to announce a new partnership with Masterkode to offer our students in Grades 5 - 8 the opportunity to build/develop their coding skills. When it comes to preparing your children for the future, there are few better ways to do so than to help them learn to code! Coding helps kids develop academic skills, build qualities like perseverance and organization, and gain valuable 21st century skills. The robot has a processing unit, sensors to perceive its environment, and motors and actuators to move its limbs or wheels. It may speak, make other sounds, or flash with lights and colors in response to the environment as per instructions. LEGO EV3 Robot Design & Engineering, instructional sessions taught by Play Academy. If you are a beginner this is the class for you! Students in this offering are not required to participate in competitions, however, first-time robotics students are required to complete this class in order to compete. FLL (FIRST LEGO League) Robotics-Tomorrow’s innovators practice imaginative thinking and teamwork. Guided by a Coach, FIRST LEGO League* teams (ages 9 - 16 years old) research a real-world problem and are challenged to develop a solution. They must design, build, program a robot using LEGO MINDSTORMS®, then compete on a table-top playing field. Learn about choosing what is right for your child here.